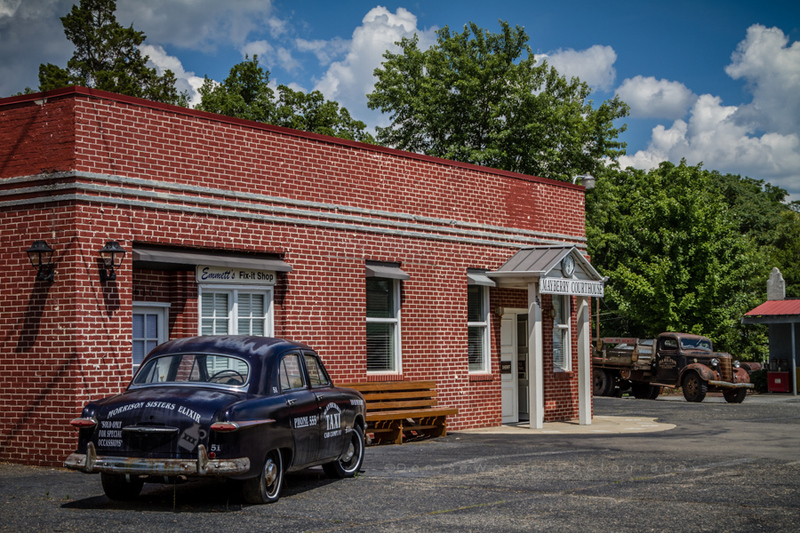 Whether or not you're a fan or have ever seen The Andy Griffith Show, you've probably heard of Mayberry, the fictitious North Carolina town in which the show is set. Mount Airy, NC is the birth place and home town of Andy Griffith, and believed to have been the inspiration for the series and it's many colorful characters. Despite living in North Carolina for more than half my life I've never been. I had work in Winston-Salem and decided to make the half hour trip north to Mount Airy for a visit. With a population of about 10,000, it’s quaint little town where they fully embrace the myth of Mayberry and the fame of their favorite home town celebrity Andy Griffith. It's a sleepy, friendly place reminiscent of days past. Shops and diners like The Snappy Lunch and Barney's ice cream Parlor on Main Street bring the fictitious town of Mayberry to life. Beautiful architecture and huge trees line residential streets. There is even an Andy Griffith museum and a bronze statue of Andy & Opie in the middle of town. Down the road a piece from the historic center of town is a re-creation of the the sheriffs office, Emmet's Fix-it Shop, and Wally's Service where you can buy a tour around town in the '60's police cruiser complete with sirens. It's kitschy nostalgia and sentimental worth exploring. The highlight of my visit was meeting Russell Hiatt and his son, Bill. 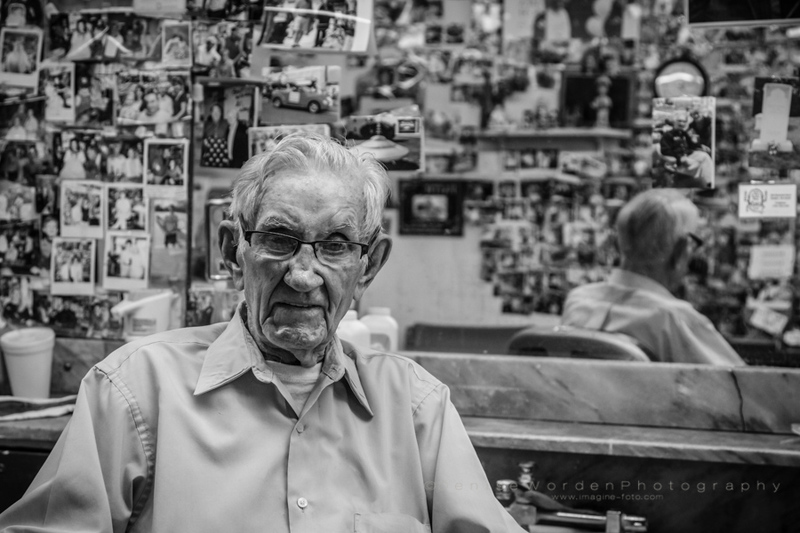 Russell, now 91, has owned and run the City Barber Shop on Main Street since 1946. 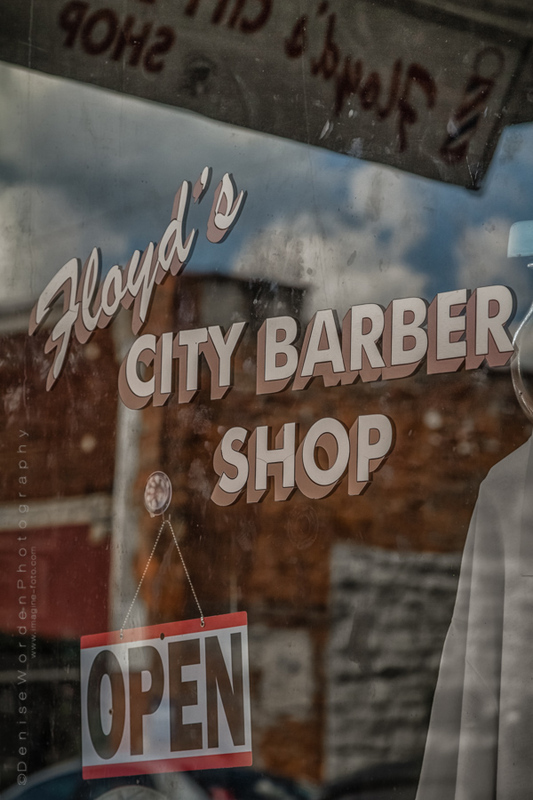 It's believed he was the inspiration for the character of Floyd the Barber. While Mr. Hiatt still goes to the shop daily he stopped giving haircuts and trims about a year ago due to failing health. Seersucker suit and straw hat wearing gentlemen stop by to say hello, and with a smooth southern drawl share their stories, and reminisce about growing up with Andy. *Update Russell Hiatt passed away in May 2016. He was a lovely and gracious southern gentleman with stories to entertain for hours. My afternoon with him was the highlight of my day trip to Mt. Airy. 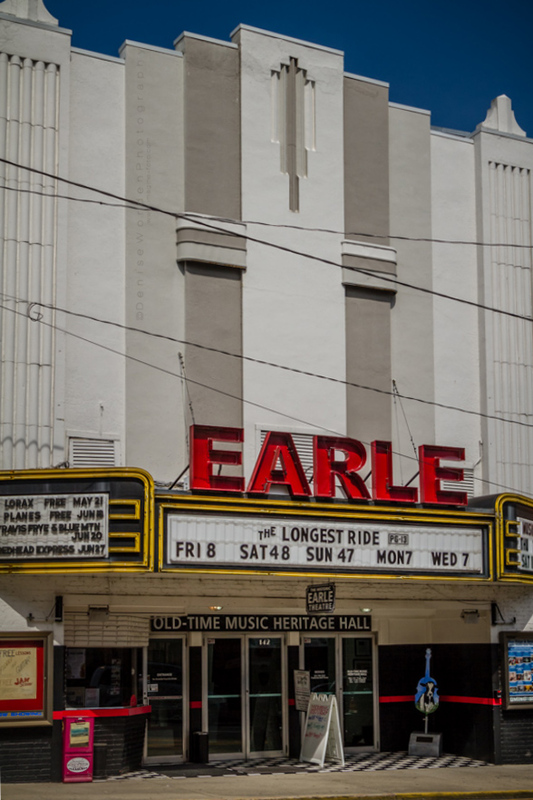 Among some of the other historic attractions in town is the Earle Theater built in 1938. 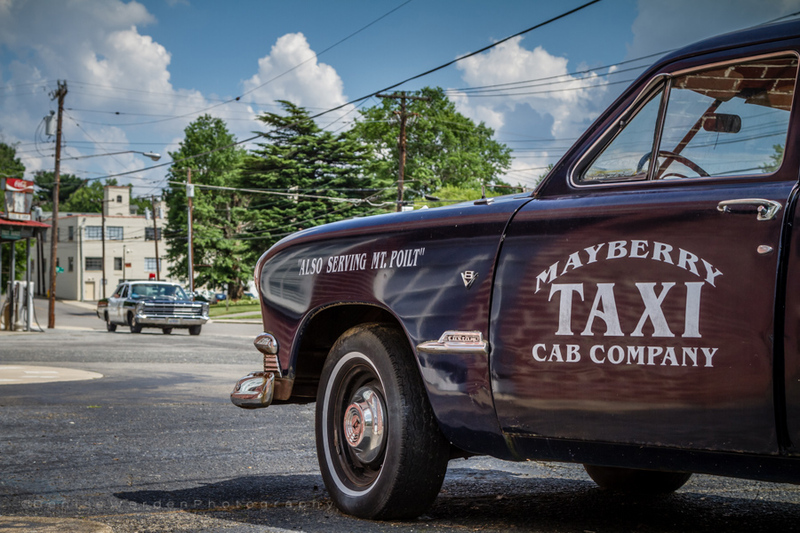 It's curious to me that people from all over the world stop through to visit Mount Airy and Mayberry. Perhaps it's nostalgia for a simpler time or just the chance to slow down and sit a spell.